Georgia is simply stunning in a suit fit for a Mafia Madam! She is wearing a silk/cotton Isabella Blouse. This is teamed with the Lucky Luciano Vest and Rossellini Skirt. 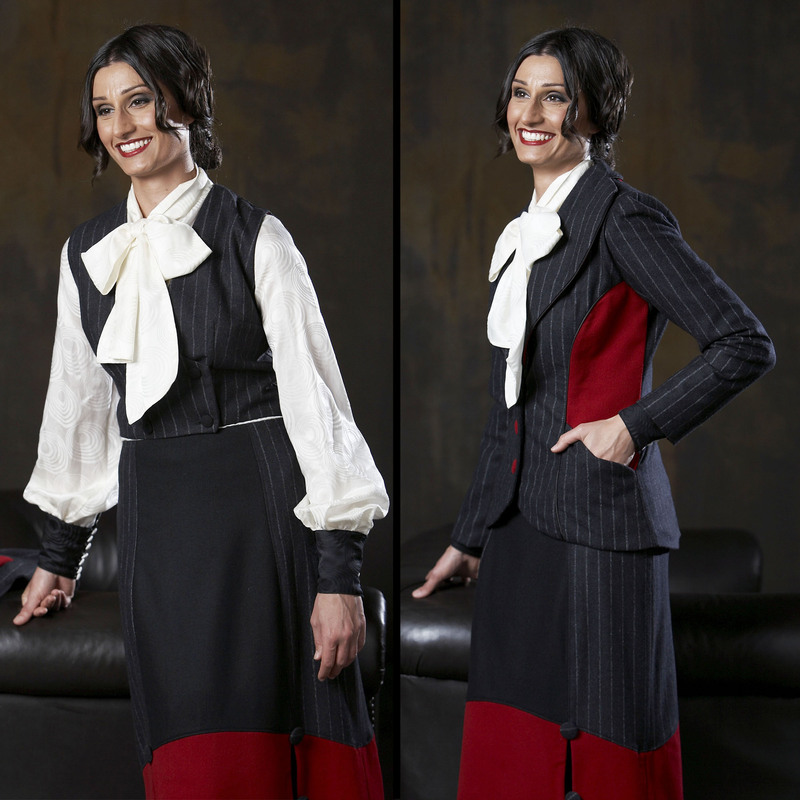 In the second photo Georgia is wearing the matching Rossellini Jacket & Skirt. Made from a woolblend/viscose combination, this suit is unique and yet classic. If you want to stand out in the corporate crowd, this is the outfit for you.